​"Escargots" is a French delicacy and means "eating snail". Escargots is a cooked land snail, typically served as a starter in Italy, Spain, Portugal and France with lots of garlic and butter. As a alternative to the traditional French Bourgogne Snail, the specie Helix Aspersa has more juicy and tender meat. This is the specie that is most often eaten in Europe and America. Today, it is possible to buy eacargots produced in Scandinavia. We can also deliver "Snail Caviar" - or snail eggs - which is a niche product for food lovers. The nutritional value of snails is high, rich in protein and low fat. Essential minerals and vitamins is high e.g. the meat contain different types of antioxidants that can boost the immune system. The snails are bred as close to their natural environment as possible and under controlled conditions to prevent them from breaking out of the enclosure. 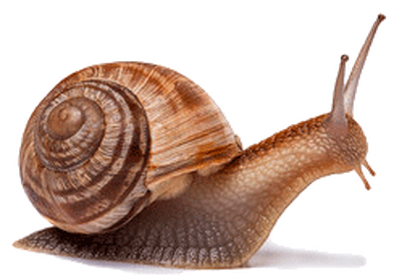 We have chosen the word "free-range" because several other farms in Europe breed snails indoors. The farm has snails at 1000 sqm land, and snails - like insects - like to live close. Animal welfare is part of the entire process from field to blanchering. Water is supplied with sprinklers and the snails are fed with green and a flour mixture added minerals. The snails must have moisture to grow. Gourmet chefs at Michelin restaurants: In season we can deliver fresh harvested snails blanched and vacuum packed. 1 kilo ready for the chef to use in other dishes. Snails need to be cooked in a fond. Snail caviar can be produced all year with time notice. Restaurants with a traditional and culinary cuisine: In season we deliver fresh snail meat. All year meat can be purchaced frozen. Blanched or sous vide cooked in vacuum, as the restaurant want them to be prepared. Food lovers who prefer by purchase by e-commerce: Fresh or frozen sous vide in packs for 4 dishes. Write us an e-mail. Retail with a delicacy: Sous vide cooked ready to use for consumers. "These escargots is something special"
Owner Jeanette Dalsgaard from restaurant Rådhuskælderen in Roskilde has received good response from her regular customers. She says: Our guests, who have ordered snails during decades, tell us that the snails are larger in size, they have an delicious taste and an amazing consistency. We feel very privileged to be able serve these snails to our customers. Chef Mark Lundgaard has escargots from Nordic Free-range Snails on the menu. They are included as starters when guests order a la carte. He says: "We are very happy to have fresh snails produced locally. The snails are meaty, tender and bigger than others and they go well as a side dish to a good aperitif."